The Martial Arts Learning Community (TheMALC) has now published 2 newsletters each month for over 4 years. The editing staff decided that it was time to make some changes. Starting in February 2013, we’ve initiated the following changes in our publishing schedule: We will begin publishing a single newsletter each month. In 2008, nearly 5 years ago now, I received a call from my associate, Mr. Gerry Lynch. 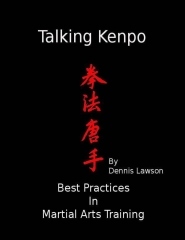 Mr.
On the matter of colored belts many people continue to labor under the assumption that a colored belt, even a brown one, has any meaning in the Mudansha / Yudansha structure that was the precursor of the various belt systems used in today’s martial arts. As I noted in my previous article on this subject, traditionally, the graded ranks or Yudansha were the only obi color change for the Kodokan’s, the home school of Judo, uniforms. Jigoro Kano, the founder of Judo, developed this ranking system for his students. When discussing the martial arts we often hear about the lineage, origin, or development of a particular style or system. No one knows when the martial arts, as we recognize them, developed in human society. Some say they developed in China or came from India or even Egypt or Greece. As part of my continuing research on how organizations function, I look for lessons wherever and whenever they present themselves. Recently, I watched Fredericksburg again. This documentary film concerning a decisive battle early in the American Civil War offered many lessons that can aid any martial arts organization.